Home > Publications > February 08, 2017 - While Texas cowboys took a bull by horns, Mexicans have stewed diced beef, sprinkled with chile ancho, and now you can try this iconic dish of Texano fusion cuisine to some hot Western movie - CHILI CON CARNE! February 08, 2017 - While Texas cowboys took a bull by horns, Mexicans have stewed diced beef, sprinkled with chile ancho, and now you can try this iconic dish of Texano fusion cuisine to some hot Western movie - CHILI CON CARNE! CHILI CON CARNE Spice King is the exquisite seasoning for the eponymous dish of the traditional Tex-Mex fusion cuisine. It ideally fits for meat dishes of diced beef, pork or a combination thereof, stewed with vegetables (tomatoes, paprika, red beans, onion). Ingredients: Tomatoes, chili ancho pepper, red sweet paprika, cumin, oregano, red hot chili pepper, onion, garlic, white sea salt (5%). 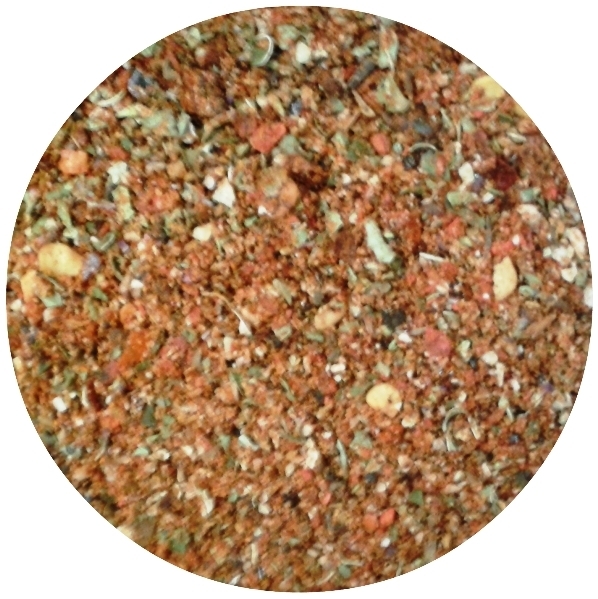 Heat level: 3/10 (Hot) by Spice King Blends' Heatness Scale.